Michael “Mike” Imhoff began his two-year term as the chair of the CU Foundation’s Board of Directors on November 16, 2018. He has been a trustee of the Foundation since 2005 and he has been a member of the Foundation’s Board of Directors since 2012. Mike has served in many leadership roles at the CU Foundation, including as vice chair of the Board of Directors, chair of the governance committee and a member of the investment policy and finance/operations committees. 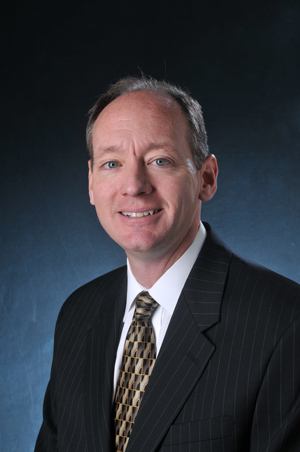 Mike is a managing director with the investment firm of Stifel, Nicolaus & Co. in Denver. He is in the Fixed Income Capital Markets Group with responsibilities including municipal underwriting. Across the CU system, Mike is heavily involved in philanthropic, volunteer and leadership activities, including serving on the CU Denver Business School Advisory Board since 2002. He is a past member of the CU Boulder Alumni Association Board and a past Buff Club director. In the community, Mike serves on the boards of the Denver-area Boy Scouts and the Denver Botanic Gardens, and he has been active with Colorado Concern, an alliance of top executives with a common interest in enhancing and protecting the state’s business climate. Mike is a 1985 graduate of CU Boulder, with a BS in finance and international finance. His wife, Patty, is also a CU alumna, with a BS in economics and international affairs from CU Boulder, and a MBA from CU Denver. Together, they have two adult daughters, Katie and Grace, and enjoy traveling, cycling, skiing and fly fishing.